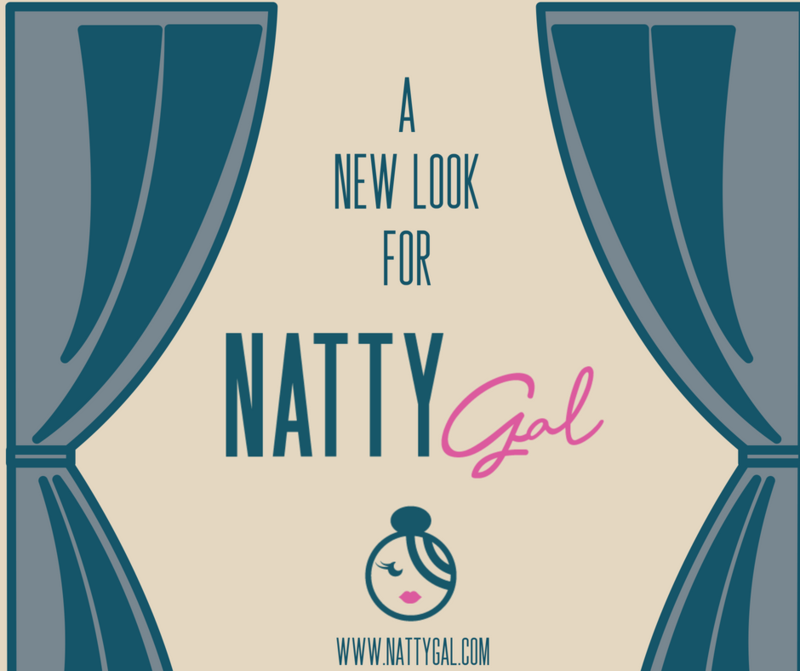 A New Look for Natty Gal! Good morning, friends. I’ve been just BURSTING with anticipation for today’s reveal! 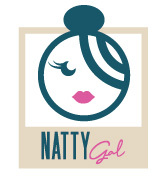 That’s right…Natty Gal has a fantastic new look, courtesy of Jennah Lear and Blue Loui Studio. When I decided to pursue the design of a new logo, a bunch of local Clevelanders recommended Jennah / Blue Loui, and boy, did they ever hook me up! 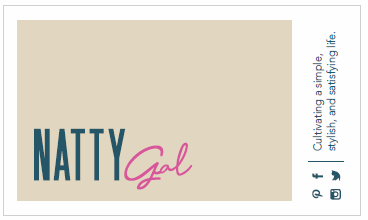 Jennah managed to take my disconnected thoughts and visions and turn them into a gorgeous logo and color palette that accurately represents my style and brand. A few other things make Jennah stand out, aside from her creative talents: She’s exceptionally accessible and responsive. She’s a great listener. 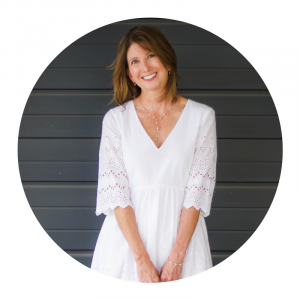 She has the ability to cut through clutter and translate thoughts into a unique and personalized brand. She’s patient and deeply committed to the total satisfaction of her clients. If you have any branding needs, I highly recommend Blue Loui Studio! Blue Loui Studio also designed some fantastic new business cards for me! I love that they incorporated a photo – such a smart idea for a business card. I’m surprised you don’t see it more often. What better way to help you remember someone than with a photo? SIMPLE: Eliminating both physical and emotional clutter/noise from one’s life. It’s not exactly minimalism but more of a careful cultivation that emphasizes focus on what is most important to YOU! 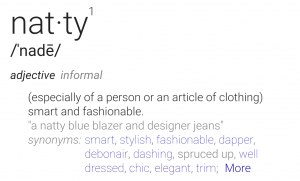 STYLISH: That’s easy! How to look great even when you GO SIMPLE. Core closet pieces to own. Trends to incorporate and stay fresh. When to save, when to splurge. SATISFYING: This is where things really get fun! It’s the good stuff. Whatever adds meaning to your life; be it good food/wine, travel, volunteering, fitness, friendships and so on. 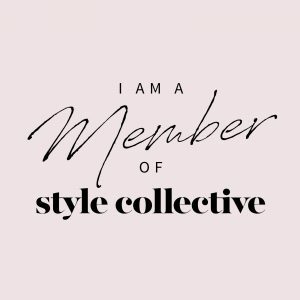 From a blogging perspective, I hope to more mindfully tie in these themes while still discussing the topics of fashion, lifestyle and travel. I’m also going to aim for a more equitable balance of posts. To ensure you’ll never miss out, please subscribe and follow me on Instagram, Facebook, Pinterest, Twitter and LinkedIn! 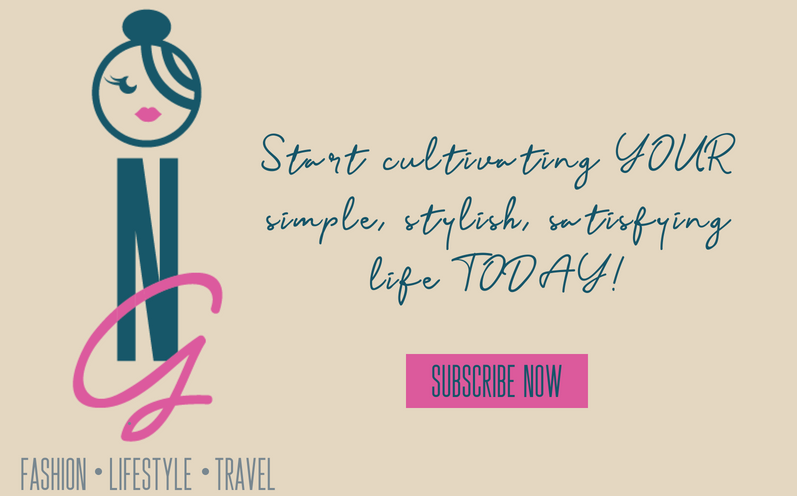 We’ve got lots of fun things coming up…fall fashion core pieces and trends, the office makeover reveal and some fun travel. If you like a post, please share it – numbers are everything in the blogging world. Thanks so much for supporting me through this journey! It means more than you can know. Always feel free to reach out via email or on social media – I love hearing from readers. What’s on their minds, what frustrates them and what tricks THEY’VE used to create a simple, stylish and satisfying life. That look/logo really captures both you and your mission…great job! Thanks so much! I’m totally thrilled with it! Thanks so much! I love it too. Jennah and Blue Loui were great, I’m happy dancing all over the place today. Congratulations on your new brand! Everything looks so great! 🙂 Jennah is awesome! Thanks so much! She most certainly is – as are YOU, my friend! Thank YOU for my stellar profile and author photos. Hoping to set up another shoot for fall. I LOVE your new look! the new logo is amazing but the “submark” (which I didn’t even know was a thing…) is more amazing! The look is very modern and sleek, but fun too. Great job! Thank you so much! I’m just thrilled with how everything turned out and agree, the submark is my favorite! Love how it blends the N and the G to look like a woman sitting with her legs crossed. Blue Loui was great! This look is great and so you! Congrats on the big change! I love your new logo! It all looks so wonderful!!! Thanks so much! It was a fun process and I love the way it turned out! I’m a huge Jennah / Blue Loui fan and I love the design work she did for you! Thank you and agree wholeheartedly! Your business card sample on the Blue Loui website was the inspiration for mine – I asked Jennah if I could have something with a photo too! Love your new look and I love your tag line! It’s so wonderful to change it up like this. I always say that we evolve over time, so many things about us should too!! So agree – love being a continual work in progress! I definitely noticed and I love love the new look. Banner, logo, submark and catch phrase are all great and I love the 4 colors you chose. 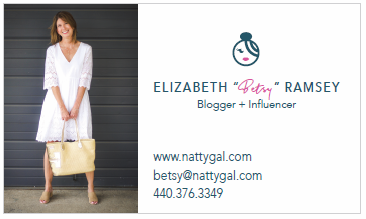 She did great and the timing on this was perfect for me as I am looking to re-brand and I love her work by seeing it here, Elizabeth. I will check her out for sure! Thanks so much! Wish I could take credit for even a portion of it but all I did was just choose from some fantastic options she gave me. Please do check her out, give her a call! Thanks for hosting and for the reminder to this week’s link-up! Previous Previous post: Tasty Thai Chicken Wraps Your Whole Family Will Love!